By now, you're probably aware that the 2014 Christmas season is quickly approaching.If the holiday music, decorations and Christmas tree displays in local stores haven't given it away, then the bombardment of Black Friday shopping ads in the mailbox and the morning newspaper, not to mention the Cyber Monday ads in the e-mail inbox, probably have. Despite an endless array of possibilities of outdoors gear, gifts and gadgets available for the hunter or angler on your list, there's always the outdoor type who is difficult, if not virtually impossible, to buy for, especially when you take a glimpse at their stuffed garages, hunting closets or gun safes. If it's bulging with camouflage, bows, guns, rods, reels or lures, then let me be the first to wish you good luck in playing Santa for that outdoor enthusiast. Or better yet, let me recommend that you throw them a curve ball and go old school. 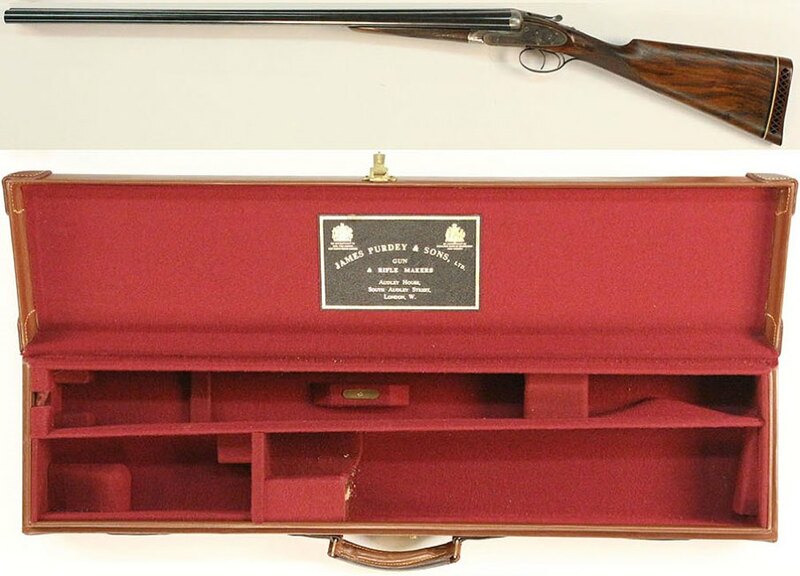 As in the old school outdoor goodies, merchandise and sporting collectibles available through Eric Ward's online auction house known as Sporting Collectibles by Ward's Auctions (https://wardscollectibles.com/), a company that began in 1998. The only thing you'll have to keep in mind is that you've got to hurry to get the perfect outdoor item or sporting collectible because the current auction closes on Friday, Nov. 21, and the next one isn't until early next year. "We auction off over 14,000 rare and important hunting and fishing collectibles each year," said Ward. "We hold four actions each year in February, May, August and November." Prospective buyers can find just about anything at Ward's Sporting Collectibles auctions with a hunting, fishing or outdoors theme including guns, decoys, rifle and pistol boxes, shotgun shell boxes, .22 ammo boxes, die cuts, advertisements, catalogs, books, magazines, posters, calendars and more. "It started as a hobby as I collect shot-shell boxes and loved the image on the boxes," said Ward. "Like most collectors, I started small with low-end items and then it grew into wanting to own the rare and hard to find items." As Ward's own collecting activities expanded, the overflow turned into a small auction house. "We started by producing our own auction catalog with consignments we could get locally here in Oregon," he said. "I would go to the gun shows and ask the people selling items at the shows if they wanted to consign and a few did." As the company grew, Ward's search expanded across the country to well-known sporting collectible shows and gun shows, places where he would find more and more consignment items to auction off. "The items we offer are 99 percent consignment based," said Ward. "But we do find items from time to time to sell or once in a great while, we'll buy an entire collection." Once these items are put up for auction, Ward's company obtains the bids and enters them. In the early days, those bids were manually entered in to the system. But then the online era arrived and everything changed quickly. "The Internet came alive and we set up our website so you could bid online," said Ward. "Before, all bids came in by phone, fax and mail and we had to manually enter the bids into our database. Now, everything is online and the phone bids we do get, we just represent the caller on the phone, go online and enter their bids for them." As the available inventory has grown so has the quality and rarity of the items up for bid. "We are confident in saying that no other auction house gets a higher price or sells more ammo boxes, posters, calendars or die-cuts in a single year than us," said Ward. "We auction off over 6,000 ammo boxes and 600 advertisements each year. "Some of our highlights include a Winchester .22 box we sold for over $8,300; a Henry rifle box that went for $10,000; and a poster for $6,250," said Ward. Keep in mind that there are plenty of other items available at prices that won't break a shopper's tight holiday budget. "Our catalogs are now over 300 pages and come out every three months with some eight pages in full color," said Ward of the auction catalogs that sell for $36 each. "We've come a long way in 16 years," he added. "Our gross sales are now well over $1 million per year and we have over 5,300 clients now. We receive about 300 new clients each year and look forward to talking to all of them at some point at a show or over the phone." If you’re interested in seeing if you can buy a special hunting or fishing collectible for the outdoors person on your list, start by remembering that the current auction ends on Friday, Nov. 21. Then visit the online auction site at https://wardscollectibles.com/. If you find something you'd like to try and purchase through the auction, follow the instructions and place a bid. For more information, contact Eric Ward at (503)566-8800; by fax at (503)566-8596; by e-mail at eric@wardscollectibles.com; or by regular mail at Eric Ward, Sporting Collectibles by Ward's Auctions, Inc., 1808 37th Ave. NW, Salem, OR 97304.